Very recently the world lost a genius, Professor Stephen Hawking. He was an incredible man, he did groundbreaking work in science as well as important activism work, most recently seen in the work he did to try and save the NHS. He was also funny and inspired many people to follow their dreams of a career in science. He was also disabled, a huge part of his identity. His wheelchair and communication technology allowed him to achieve everything he did, sure he had to find different ways to do things but different is not bad, it is just different. So, why in the days after his death are illustrations circulating that show an empty wheelchair or Hawking walking away from an empty wheelchair, why are we painting the picture that wheelchairs are restrictive and Hawking is free now? These are toxic ideas that represent disabled people as being free once they die, the start of eugenics. Wheelchairs can be life changing, they give people independence and freedom, they don't restrict people. Inaccessible buildings and public transport restrict people but wheelchairs? Wheelchairs are freedom and I should know. I started using a wheelchair several years ago now, at first it was a huge, heavy manual wheelchair that was pushed by family but it allowed me to do more and I was so grateful for my ESA backpayment that allowed me to buy it. I was struggling to even walk around the supermarket at that stage but once I had the wheelchair I could go back to shopping in town, spending time with my family and generally living life again. At that stage we didn't think the wheelchair use would last for long but when my mobility continued to decline I began to wonder about other options that could give me more independence. 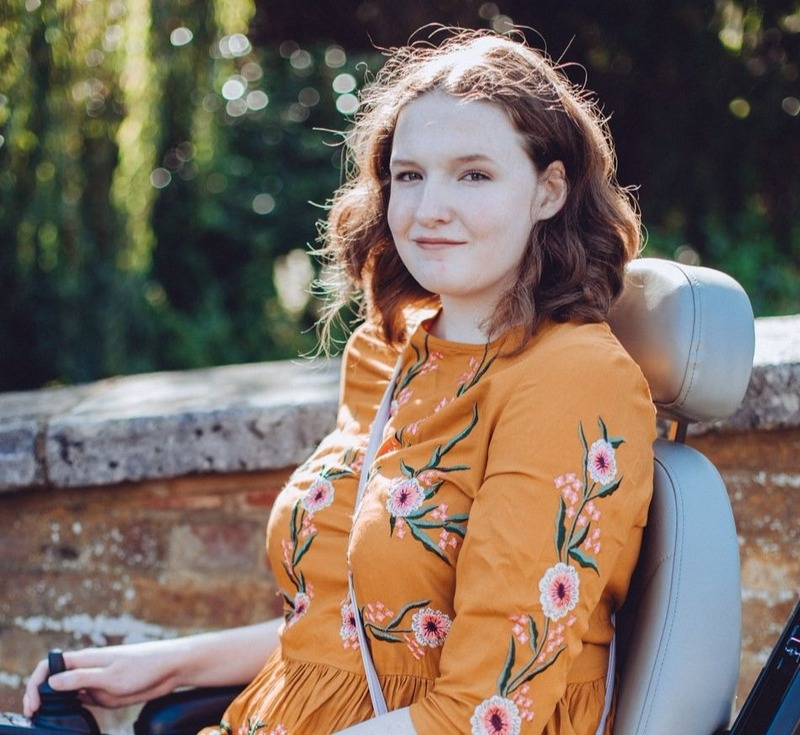 I was 18 when I fundraised for my first powerchair, after having been turned down for one on the NHS on the account of my ability to walk inside my home. The day I received my first powerchair was the day I got my life back. No more being pushed in a manual wheelchair by my family on the weekends, I couldn't go out at all from Monday to Friday as my family weren't around to assist me. My life was led by other people's schedules. But, from that day forward I was able to decide when I went out and where I went, my life on my terms. 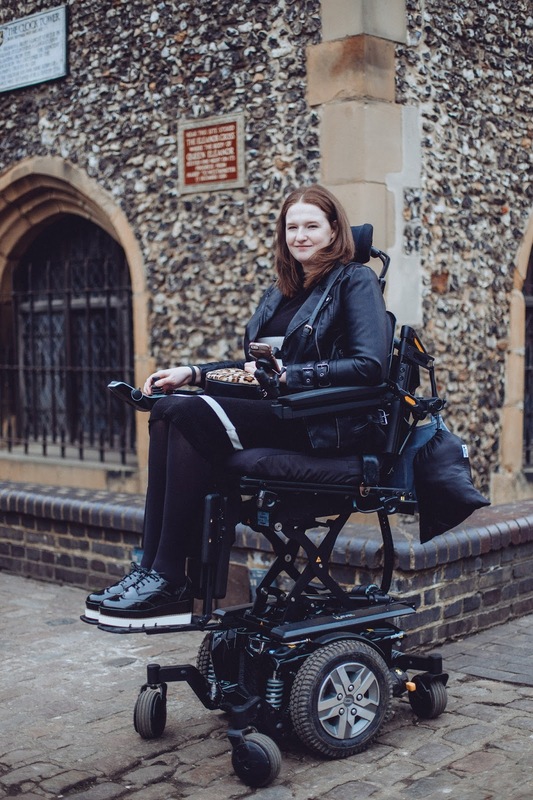 My needs outgrew my first powerchair quickly and as many of you will know at the end of last year I had to fundraise again and I received my new powerchair just over a month ago. I've referred to it as life changing several times now but that doesn't even cover it. I'm now able to do things that I'd accepted I would never do, I'm considering paths in life that I thought were blocked off. That's what the right wheelchair does for a person. It enabled Hawking to continue his work and it's enabling me to begin my life again and start living like the 20 year old I want to be. So many things seem possible for the first time in years. I don't need to be freed from my wheelchair and I am certainly not restricted by my wheelchair, society is what restricts me and Hawking's death has highlighted just how ingrained ableism is within people. My wheelchair is freedom. It's hope. It's independence. It's a fresh start. Wow, this is beautiful. Very powerful writing. I am so touched by this and I am so happy that your wheelchair has done such a life changing thing for you. Many people really have that thought that wheelchairs restrict people who have a disability, but you’ve made it super clear that it’s society and it’s inaccessible buildings that do this. So many times here in NY in the train station, not all of them cater to people in wheelchairs and I get so baffled as to why ALL stations are not making that move. I sure hope there is a change. I really enjoyed this post! Super inspiring.